Capital gains tax these days is getting more relevant as the price of property has increased considerably since 1 October 2001 when capital gains tax was implemented in South Africa. Should you sell your primary residence (registered in your personal name) and the capital gain exceeds R2 million, it may be beneficial to contact your tax consultant to ensure that you will be left with the highest possible gain after having paid the South African Revenue Services. The capital gain = selling price – the base cost. And selling cost includes estate agent’s commission + bond cancellation fee + certificates of compliance (for example electrical, beetle, plumbing, gas and electrical fence compliance certificates), etc. Improvement cost includes all additions over the years such as alterations, improvements, alarm system, new plants, paving, etc. In addition, should you decide to put your property on the market and aim for a higher selling price by doing repairs and painting before selling, SARS allow for these costs to be deducted as improvements. In short: The tax that a Seller will pay after deducting all capital costs plus the R2 million primary residence exclusion is 13.3% of his capital gain(if his other taxable income. Say Person A has an annual taxable income of R680, 000 and more and is at the maximum tax rate of 40%. He bought his primary residence in 2002 for R2 million after 2001 when CGT was implemented, and has registered his property in his personal name. He sells the property 12 years later for R5.5 million. Therefore R5.5 million – R2 million primary residence exclusion = R1.5 million capital gain and a further base cost of R500 000 (agents fees, improvements etc) is subtracted = R1 million capital gain. This amount will be added to his annual tax return and the effective CGT rate will be 13.3% of the R1 million or R133, 000. Person B sold his property that he bought in 1991 (10 years before Capital gains tax started in South Africa on 1 October 2001) for R300, 000. 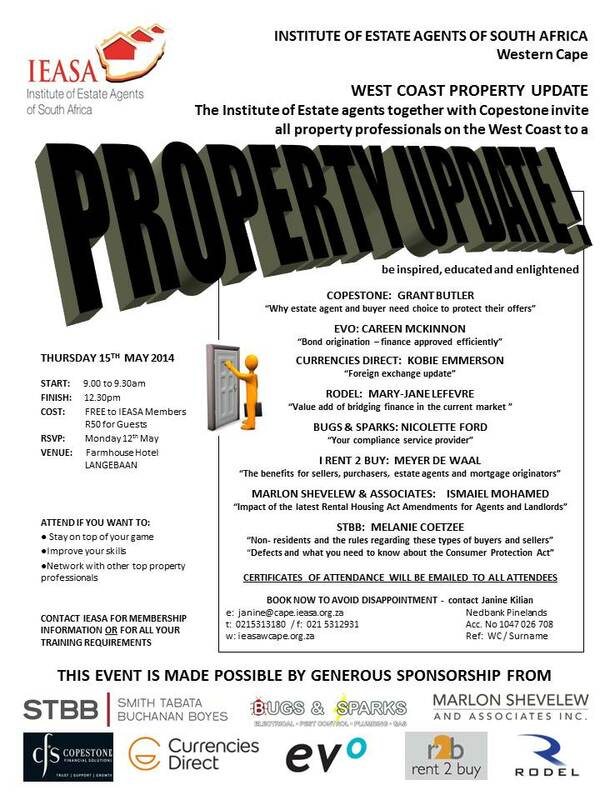 He sold the property on 1 November 2013 (12 years after 2001) for R3 million. CGT is therefore calculated at R3 million – R300, 000 = R2, 700, 000 (X) capital gain and a taxable capital gain of (X) x 12/(10 + 12) years, therefore R1, 472, 727. If a person sells his property after 10 years, where he occupied the property as a primary residence for 7 years and rented another property for 3 years due to work circumstances, then SARS will still give him a R2 million primary residence exclusion after the 10 year period. However, if we use the same example and he bought another property after 7 years which is close to the first property, he will be able to claim only 70% of his primary residence exemption when selling the first property 10 years later. It is imperative that you do your capital gains tax calculations carefully and arrive at the proper base costs and deductions when selling your property. Should you have any further questions in this regard or require tax assistance, contact the Tax Consultant Fanus Jonck (tax@jonck.net, Tel 021-914 7454). IT IS THE BEST TIME EVER TO INVEST IN PROPERTY ! IF YOU HAVE A DEPOSIT AVAILABLE – MAKE USE OF “GEARING” AND LET YOUR DEPOSIT GROW ON STEROIDS! If you have R20 000.00 saved on an investment – it may generate some income and growth – but it is only the capital value of R20 000 that will grow each year. if you use the same R20 000 as a deposit to buy a property – you may convince a bank to give you a home loan and use your deposit to negotiate a better home loan rate – The result will be that you will have growth on R399 000 every year – compared to growth on only R20 000 per year ( look at the prices below as example). Calculate this over a 20 year period – usually the time it takes to pay off your bond – and you will be amazed to compare the growth of R399 000 growing each year – compared to R20 000 growing each year. Disclaimer – Please not that this an average assumption and no provision is made for capital gains tax and other expenses and to raise a home loan will depend on your financial situation and credit profile – thus terms and conditions apply and NCA rules and regulations. You may think that you may not be able to invest in property right now – as you do not have a deposit available – or the best credit profile – but perhaps sufficient income every month – then perhaps get your foot in the door and buy your first property with the rent2buy concept. Rent2buy units are available in Maitland, Mountain View Villas as well as Greenfields Development in Blackheath and Zwartland in Malmesbury. We operate in a property market with a housing backlog of an astounding 2.1 million houses, which government says will require a “miracle” to supply. This huge demand, given that supply is constrained by dismal building and development figures over the last decade, presents a massive opportunity – for developers, for property owners and for property investors – now and in the future. The problem is that potential buyers cannot buy property, no matter how much they want to or need to, because they cannot get finance. And this means that sellers can’t sell their properties, no matter how much they want to or need to. And developers can’t sell units in new developments, no matter how enormous the demand or the housing backlog. • The cost of credit. After approving 80% of home loan applications and handing out 118% home loans like candy before the National Credit Act (NCA) was implemented, the banks are now turning down half of home loan applications and demanding deposits of 15% or more, which buyers have to fund from their own pockets, over and above the property acquisition costs they need to pay such as transfer duty and bond costs. This means that even those South Africans who have saved up enough to cover the transfer duty and other property acquisition costs and have enough monthly income to afford a 100% bond cannot obtain finance. And, of course, the entrepreneurial South Africans – those who run their own businesses (self-employed) and property investors (especially those who already do have bonds), are simply cut out of mortgage finance running, regardless of their ability to service the loans.